Mumps is an infection caused by a virus. It spreads very easily via saliva. When someone with mumps coughs, sneezes and talks, they release droplets into the air. You can catch mumps by breathing in the droplets. You can also catch it from touching an infected surface or object such as a door handle. The mumps virus can infect many parts of your body, especially the glands on either side of your face, just below your ears. These glands typically swell and become painful. They also get tender, making chewing and swallowing sore. Other symptoms include a high temperature, headache and feeling tired. Mumps is usually a mild illness, but on rare occasions it can cause serious complications such as brain infections and infertility. 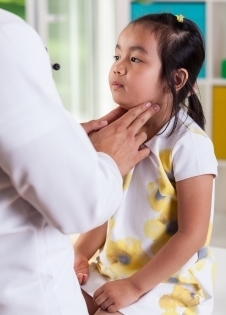 Mumps is much less common in children who've been immunised. But there have been recent outbreaks in New Zealand. How can I avoid getting mumps? Vaccination is the best way to prevent mumps. The MMR vaccine is used to prevent measles, mumps and rubella. Children receive this vaccine at 15 months and 4 years as part of the National Immunisation Schedule. There's no medicine to treat mumps. The treatment is aimed at relieving symptoms. Rest, drink plenty of fluids and use paracetamol or ibuprofen (ask your GP or pharmacist for advice) to help with fever and pain. If it hurts to swallow food, food that doesn't need lots of chewing may be easier to eat. The infection usually goes away within seven to 10 days. Contact your GP if your symptoms don't improve or if you feel they're getting worse. How can I avoid spreading mumps? To reduce the risk of spreading the infection, it's important to have good hand hygiene. This includes washing your hands with soap and water. Cover your mouth and nose with a tissue if you cough or sneeze, and throw the tissue away afterwards. Stay away from school or work for five days after your symptoms first appear. Information about mumps symptoms, how to stop it spreading, preventing mumps with immunisations, and the risk of having mumps. Centers for Disease Control and Prevention – Mumps. Retrieved November 2017.